Matthew Fredrick Hathaway is a Certified Registered Nurse Anesthetist (CRNA) for Associated Anesthesiologists, P.C. Matthew is a native of Lincoln Nebraska. Matthew completed his Bachelor of Arts in Nursing at St. Olaf College in 1999. 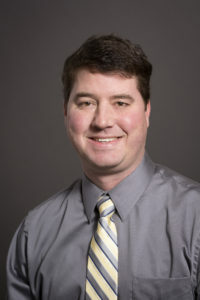 Matthew completed his anesthetist training at the Mayo Clinic in 2006. Matthew became a licensed CRNA in the State of Minnesota that same year. Matthew continued employment with the Mayo Clinic until December 2016. In 2016 Matthew became licensed in the State of Nebraska and joined Associated Anesthesiologists, P.C. January 1, 2017. Matthew is married with 3 daughters. Matt’s personal interests are watching his kids swim competitively as well as spending time with his family, fishing, watching football and all Nebraska sporting events.